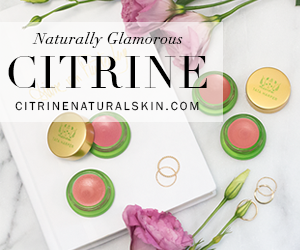 One of my all time favourite skincare lines is back with something FABULOUS. Annmarie Gianni is up to it again – creating beautiful things in skincare… but this time, it’s makeup. A liquid (or dry matte) foundation no less! I am such a huge fan of her line – I’ve called it the skincare line I would eat in a past post, and now with makeup as pure as her skincare, I can’t say I’m anything but one happy girl. Blend that with one of the purest oils which you will find on Annmarie Skincare’s site (her Herbal Facial Oil or my favourite, her Anti-Aging Facial Oil) and it creates the perfect coverage, dewy finish makeup you can find. For those of you that prefer to wear powder foundation, just forego the addition of the oil and blend the powder solo with a brush (on well prepped skin, of course). First off: ingredients. Super pure and aren’t going into my bloodstream. Combining the pure oils with your mineral powder = brilliance. It doesn’t get more pure than that – oh, and no (synthetic/chemical) preservatives! Secondly, holy is this stuff effective and natural. When blended and applied, Earth Minerals foundation is working on the same level as any of my other favourite liquid foundations. Long story short – this stuff is pure, pretty and on my new faves list. Tap – Tap a small pea-sized amount of mineral powder in the palm of your hand. I’ve used Pearl here – the lightest shade in the spectrum, but can be blended with others to create your perfect match. Pump – Add 1-2 pumps of your favourite Facial Oil or Facial Serum. Here I’ve used 3 drops of Annmarie Skincare’s Herbal Facial Oil which is good for normal to combination skin<3 She also has one that is great for oily & problem prone skin, which you can find here. Her oils are just as lovely on their own – I’ve used her anti-aging oil for some time. 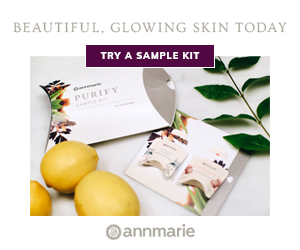 Annmarie Skincare’s makeup sample kits come with 4 colours for you to try – I’m having fun blending pearl and sand together – plus a sample of their Herbal Facial Oil for Normal and Combination Skin. 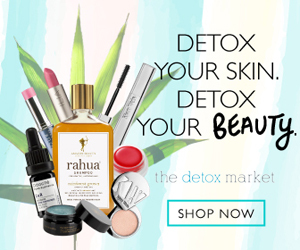 And they ship the Earth Minerals Sample to you for free, no matter where you live… oh, and the order will come with a coupon for $10 off a future purchase! Perfect for purchasing the full sizes. 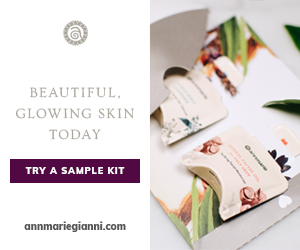 They’ve started out by releasing a limited number of sample kits, so get your hands on it – $20.00 USD (includes shipping globally)! The full sizes retail for $49 USD and you can find them here. In the mean time, enjoy testing, playing with the colours and getting a feel for what might very well be your new favourite natural foundation. I’d love to try Annmarie Gianni! And, I’m always in search of a good green foundation. oooh, this looks fabulous! My own mineral fac powder from Dr Hauscha is just running out…. I really wanted this product everywhere since the probe in the mobile spa miami on my vacation. Thank you for your post!